Whether your job is in a chilly office, you’re a naturally cold person, or it’s the dead of winter, you’ve probably experienced what it’s like to do your work while being cold. Instead of layering up with jackets, hats, and gloves, check out this list of items to warm you up in the office. 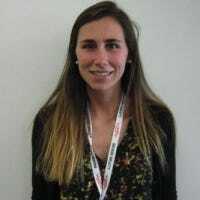 What items could possibly keep you warm in your office space without taking up too much room or being a burden? Maybe a mini space heater will do the trick. Or even a heated mouse pad or mouse. A heating pad could even get the job done. Whatever your preference, we’ve got the best picks for you! If you like this article and want to learn more about our recommendations for products that keep you warm, check out our articles on heated throw blankets, gloves for the office, and office footrests. A space heater is a great option to warm up your space for work. Our list of space heaters for different-sized rooms is a good place to start when looking for a heater, and if you’re looking for one that’s small enough to fit on your desk, our top recommendation is a Lasko MyHeat heater. 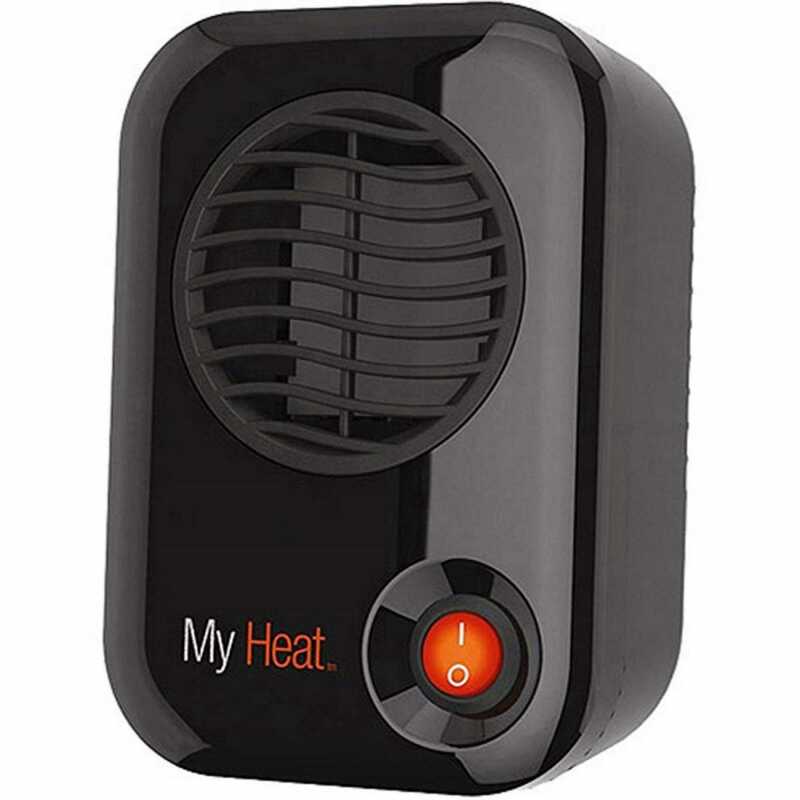 This Lasko MyHeat Personal Space Heater is a powerful heater that turns on with the touch of one button. Just power it on and in seconds, you’ll have a blast of warm heat to take the chill off your hands. This rectangular heater is about 6 inches tall—small enough that you can carry it around in one hand if you want to move around the office. The heater also has an overheat sensor that shuts it off for your safety. It’s a great option for those times you just need a little heat (and don’t want to heat up the entire office in the process). Do note that it sells out pretty fast this time of year, so if the Black model is out of stock, grab the navy blue or white model instead. Want a heating pad for office that you can use anywhere? Maybe your feet are chilly, or your hands are too cold to type. You can place the Kupx Warm Desk Pad under your mouse and keyboard, or even under your desk—you can even get two and have them in both places! With different modes, you can be sure your items are safe from the heat. 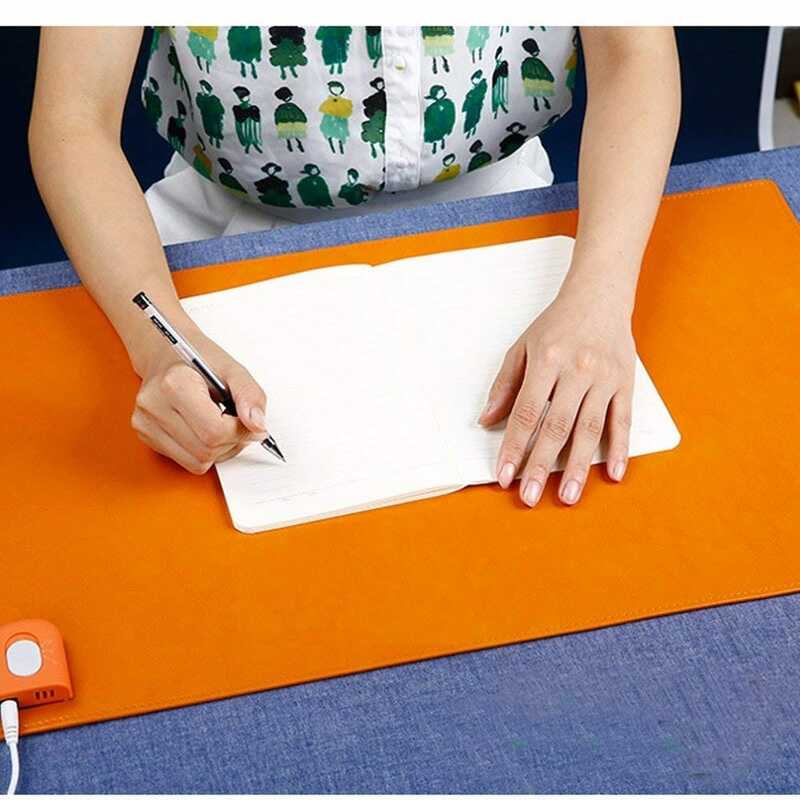 If you want to warm your feet under your desk, you can choose the full-heating mode, but if you want to use the Kupx as a warming mat on your desk, you can choose the pad that only heats a portion of the pad (so that your laptop or electronics don’t overheat). The Kupx heats up in about 30 seconds, and has a durable and waterproof rubber bottom along with a waterproof, faux leather top. With safety in mind, this pad shuts off when it reaches 122 degrees Fahrenheit. If you listen to music or make phone calls with earphone or headphones during work, but are tired of cold ears, then the 180s Bluetooth II Ear Warmer Headphones may be just what you need. With three different colors to choose from, you can wear these insulated polyester headphones for up to 9 hours with just one full charge. If comfort and sound are your concerns, then these 180s will do the job. They’re comfy around your ears and will keep them warm (both inside and outside of the office). Plus, they’re Bluetooth, so you won’t have to deal with annoying cords unless they’re charging. And with an adjustable click-to-fit design, you can wear these headphones snuggly around your head. Do your hands ever get cold while you grip your computer mouse? 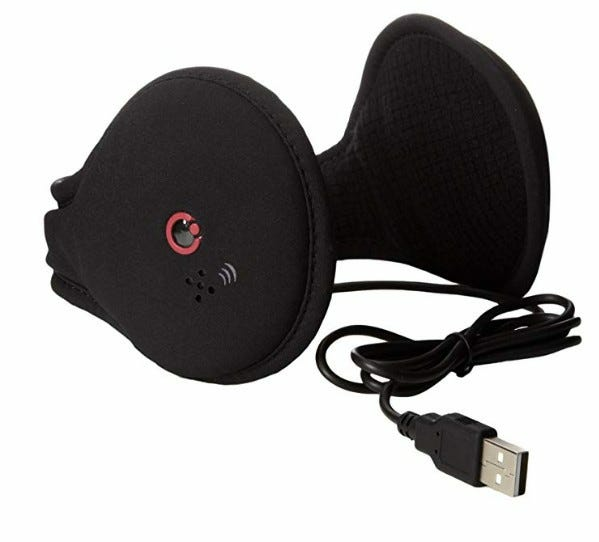 If you’re tired of cold knuckles, check out the ValueRays Mouse Hand Warmer. Just slide your hand (and mouse) into the large opening of the blanket pouch, and get to work! 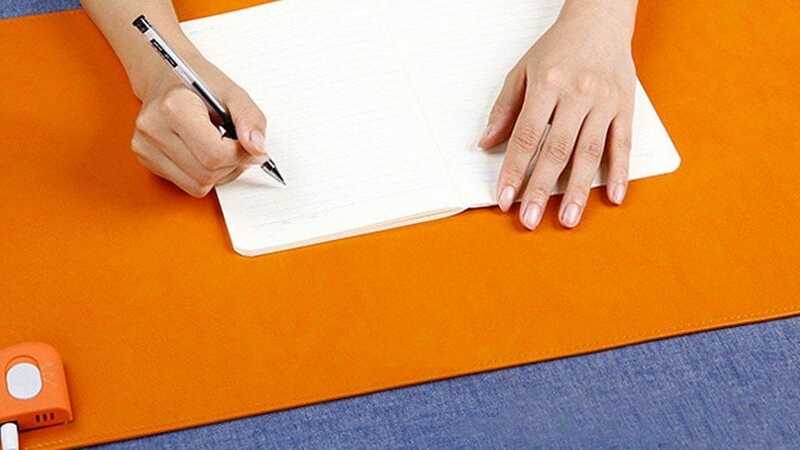 This pad is 12 inches x 12 inches, so it fits easily on your desk and works with any mouse (both wireless and USB-powered). It might look a bit odd, but it’s like a Snuggy for your hands. 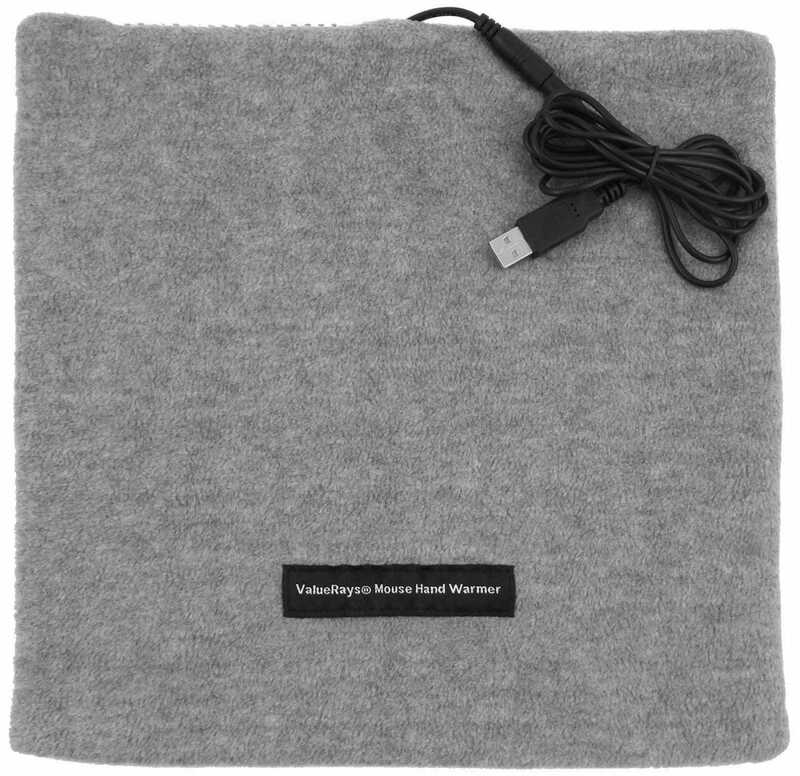 This fleece, non-slip mouse pad has a USB plug that’s used to power the infrared heating element and plugs right into your computer. The ValueRays Mouse Hand Warmer can also be washed (just make sure to wash and dry by hand). If you like the idea of a heated mouse pad, check out this cute and fun version that’s also a plush cat: Update Everyday Heating Mouse Pad. If the heating mouse pad wasn’t enough, you may be interested in this ValueRays Hand Warming USB-powered Mouse. This mouse has left, right, and DPI button, along with a high-speed cursor—but it also has a button on the bottom to turn the heat on and off. It’s not exactly an ultra-premium gaming mouse, but for folks that crave warm hands and increased circulation over everything else, it’s a perfect fit. 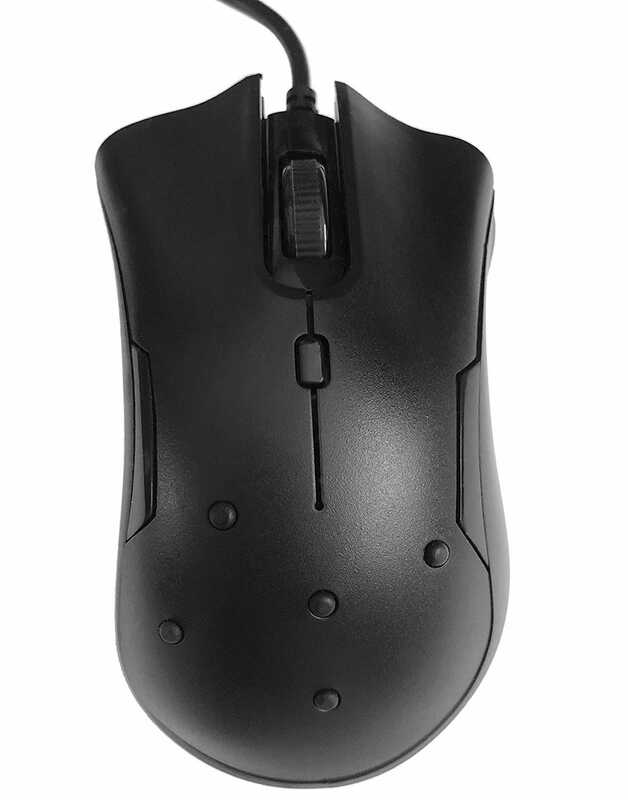 The ValueRays has five “hand acupressure points” on the top of the mouse (the nubs seen above). While we can’t comment on the efficacy of mouse acupressure, people seem to enjoy the feature. Finally, the mouse can reach up to 99 degrees Fahrenheit, and radiates heat around all sides for maximum comfort and warmth. Lastly, this mouse is perfect for both right and left handed users!